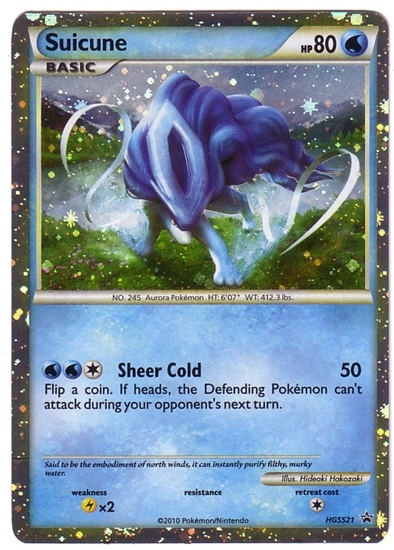 This Suicune is a wild water-type Pokemon that appeared in Voice of the Forest. Biography. While on a ferry going to Ash and his friends' next destination, the group looked out into the woods and saw Suicune.